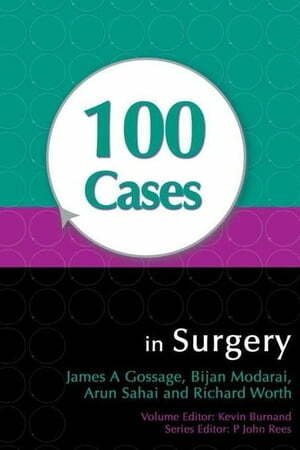 Collins Booksellers - 100 Cases in Surgery by Gossage, James, 9781444113815. Buy this book online. The aim of the 100 Cases series is to provide a novel learning and revision tool that works by guiding the reader through clinical cases, imitating those that students and junior doctors are likely to meet in accident and emergency and outpatient departments, and in general practice. 100 Cases in Surgery presents 100 surgical scenarios commonly seen and treated by medical students and junior doctors. The patient's history, examination and initial investigation results are presented alongside questions on the diagnosis and management of each case. The answer includes a detailed discussion on each topic providing an essential revision aid for students and junior doctors. Making clinical decisions is one of the most challenging and difficult parts of training to become a doctor. These cases will teach students and junior doctors to recognise important surgical conditions and help them develop their diagnostic and management skills.